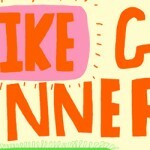 Public transportation or car rental for your vacation in Tuscany? Well, it depends on where you want to go. Where should we base ourselves in Tuscany? The first and most important question when you are considering car rental vs. public transportation in Tuscany. What to see in Northern Tuscany and What to see in Southern Tuscany. Knowing Tuscany is essentially split in two major areas with very different features and infrastructures is essential to good planning. To drive or not to drive in Tuscany. In short: if you want to see Southern Tuscany, do rent a car. Northern Tuscany without a car. 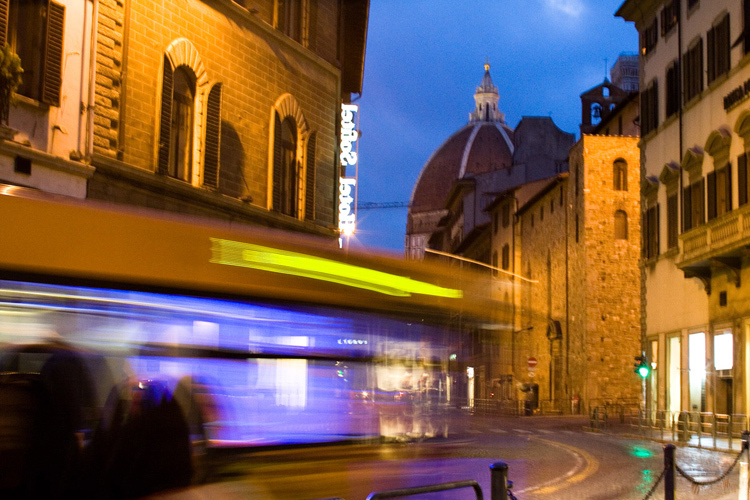 In short: in Northern Tuscany some cities, like Pisa and Florence, are very well connected to other major destinations by public transportation. No need to rent a car if you choose Pisa as a base. Pisa ZTL: Limited Traffic Zone. Public transportation will save you some nasty surprise. How to travel from Pisa to Florence. All you need to know to navigate one of the most common journeys in Tuscany. 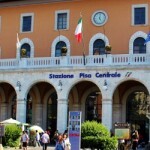 Just a few more words about public transportation in Tuscany. You can most certainly visit most of the major centers by public transportation. But if you choose to base yourself in one of the smaller towns, especially in southern Tuscany, you will have a much better time if you use your car. Pisa is a fabulous transportation hub. It gives visitors access to all of the major destinations in northern Tuscany, including Lucca and Florence. And more (Cinque Terre, Rome, Genoa, etc.). Trains are cheap in Italy, and, in spite of common complaining, quite reliable. You will not need a car if you use the city as your base. The city has a good public transportation system. City buses connect all neighbourhoods to the center with frequent rides. The Leaning Tower is connected to the central train station and the airport by city bus LAM Rossa. The ride between the city’s iconic monument and the central train station takes about 10 minutes and in 5 more minutes you can reach the airport. The standard bus ticket costs 1,20 euros. You can purchase 4 ticket carnets (4 euros) and 10 ticket carnets (9 euros). Pisa has two large free park and ride parking lots. The one in Via Pietrasantina is the closest to the Leaning Tower. It’s a 5 to 10 minute walk. LAM Rossa stops there too if you prefer to hop on the bus. Be aware that in high season, car windows are sometimes smashed in and objects stored in the cars are stolen. My advice is to park in the parking lot “Brennero” instead and hop on the Navetta E. The ticket costs 1,45 euros for a day pass. In 10 minutes you can be in Via S. Maria, a 5 minute walk to the Leaning Tower. Taxis are also readily available in the city. They are not cheap. The main company is Co.Ta.Pi Radiotaxi Pisa. You can call +39 050 541600 or book via text message or their app. 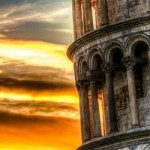 Looking for accommodation in Pisa? Check our our Pisa vacation rental apartment.